When a holiday is coming, Family Meals in Fort Pierce buzzes into a beehive of activity. The non-profit founded by Martha Taylor and a group of friends gives families turkeys, chickens and other uncooked foods so that they may enjoy holiday meals cooked at home in their own special ways. An all-volunteer team comes together to pack and distribute the food. It is a way to bring families together to make memories around the holiday table, and with hope that families will continue to enjoy sit-down meals together to keep their bonds strong. Anyone who asks is eligible. Taylor says studies show that eating together as a family helps to reduce obesity, discourage experimentation with drugs and improve school grades and attendance. The non-profit began in 2012 with the delivery of holiday meals to 20 families. Twelve volunteers helped out that Thanksgiving. Six years later, the 2018 team delivered meals to more than 2,000 Treasure Coast families. It took more than 50 delivery teams and 200 volunteers. And that doesn’t include the churches and shelters that pick up meals to distribute the food themselves. The group, with no paid staff, offsets costs by food drives, shopping for the best prices and working closely with local businesses. The entire proceeds of donations go to purchase food. "What is better than helping families have a delicious meal together? 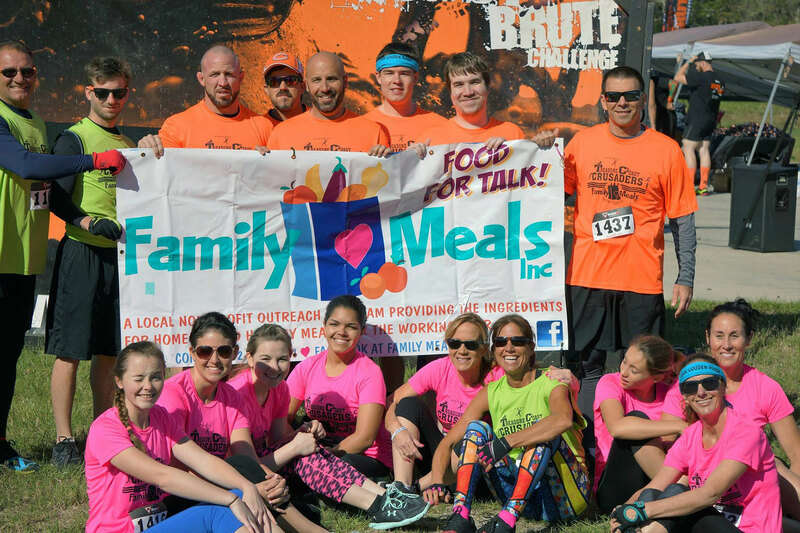 Family Meals is by far the most innovative non-profit in the area." "They are the most well-organized and consistent non-profit on the Treasure Coast. Great people coming together to help others."